We've updated our popular SRM Color Charts with the latest BJCP beer styles. 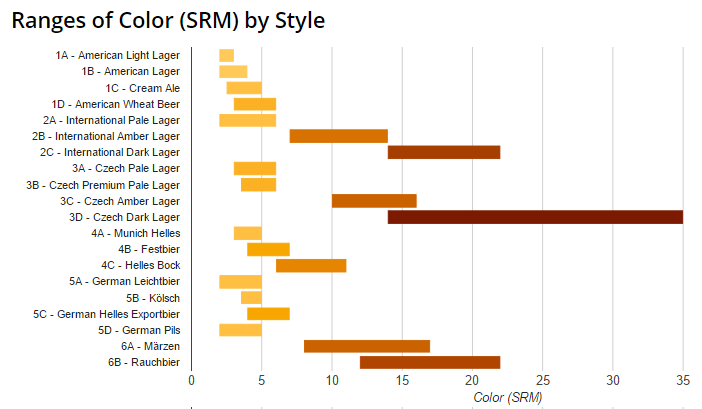 This chart shows the BJCP beer styles and their SRM colors in bar graph format. SRM stands for ‘Standard Reference Method’, a scale devised by scientists to describe how light or dark a beer is.